In Porto’s 1-1 draw against Vitoria Setubal, Miguel Layun and Jesus ‘Tecatito’ Corona were given the starting positions for the match. The goals came just before and just after the end of the first half, including a goal from Jesus ‘Tecatito’ Corona in the 46th minute of play. Porto ends for the international break with one points, ‘Tecatito’ with confidence of scoring a goal and Miguel Layun a strong force for the defense and the midfield depending on where Osorio places him. Even though Hector Herrera was benched and didn’t play in the match, he too was called up for qualifiers. It should be a good performance level from the Porto boys this weekend. PSV took on Vitesse in a 1-0 victory on March 18th. Both Hector Moreno and Andres Guardado started and played the full duration of the game. PSV showed a very strong attacking side but had trouble finishing goals during the first half. 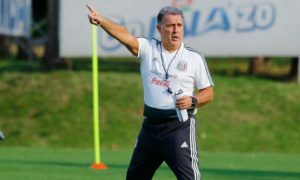 It was not until the second half, at the 50th minute, when Guardado had the ball inside the 18-yard box that he saw an unmarked S. De Jong at the penalty spot who shot the ball off the pass and scored. PSV is currently in third place in the Eredivisie league. Guardado and Moreno were both called up for the upcoming qualifiers. However, it was reported on Monday that Andres Guardado suffered an injury to his left leg and would be missing the game against Costa Rica. He is still traveling with the group, meaning he could possibly be ready for the Trinidad & Tobago match on March 28th. After being subbed in during the 78th minute last game, Marco Fabian was given the starting spot for Eintracht Frankfurt’s match against Hamburger SV. The game ended in a 0-0 draw with neither team being able to finish their chances but it was another chance for Fabian to gain fitness after being out for such a long period. 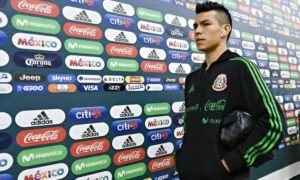 The Mexican striker opted out of being called to the national team for the qualifiers, stating he wanted to give himself time to perform well with his club team. After earning 90 full minutes, he is off to a good start. Espanyol faced Eibar during a Primera Division match on March 18th where Diego Reyes played the full 90 minutes. The game ended in a 1-1 tie where Eibar scored off a lack of marking from the Espanyol defense in the 20th minute. Espanyol would retaliate in the 50th minute, equalizing the match. Both teams attempted but none succeeded and both left with a single point. 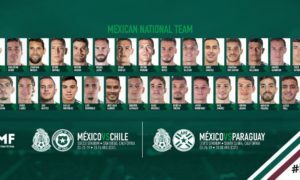 Diego Reyes was part of the announced line-up for the qualifiers this week and will join Hector Moreno, Rafa Marquez in the defense. Time-wise, Reyes is one of the stronger Mexicans Abroad. In terms of actual delivery, it varies. Against strong teams in La Liga, he has faltered and made avoidable mistakes. The benefits from his playing time will either show or lack during the upcoming matches with El Tri. Real Sociedad faced Alaves on March 18th in the Primera Division match. Real Sociedad walked away with zero points in their 1-0 defeat and Carlos Vela received the full 90 minutes. Alaves was dominant from the very beginning, securing their victory in the 44th minute with a goal from Deyverson. Real Sociedad’s attacking side was lost most of the game, included Carlos Vela. The rhythm was off and they could not connect or create chances like normal. It’s been another week where Vela has trouble finding his footing. Also on the way back to Mexico for the qualifiers, it will be a true testament of his time in Real Sociedad to see how dangerous he can still be for the Seleccion. Bayer Leverkusen have now moved down to 11th place in the Bundesliga with a 1-0 loss against Hoffenheim. Hoffenheim, the home team, dominated the majority of the match and managed to get a goal in the 62nd minute with a goal from Wagner. Mexican striker, Javier ‘Chicharito’ Hernandez, was subbed in during the 71st minute. The future for Hernandez at the club still seems hazy after having a few good weeks scoring goals. He has also joined his colleagues abroad to play in the qualifiers and while his club future is set, his place with El Tri is definitive for now. Jonathan Dos Santos continues to start for Villarreal and despite the loss against Las Palmas, the earned time is noticeable. Although Las Palmas managed to get their 1-0 victory early in the 10th minute of play from Kevin-Prince Boetang, the remainder of the match was a hard-fought attempt from Villarreal to try to equalize. With Jonathan in the middle, the flow of the match was smooth, the attempts were delivered and the momentum of the attack was consistent. The game ended with Villarreal earning zero points and Jonathan flying to join the rest of El Tri. He might not be a starter for the qualifiers but Osorio should definitely give him a chance and at least sub him in early in the match or the start of the second half. Granada actually scored in the 51st minute of play with a goal from Ingason but Granada’s defense could not stop Sporting from retaliating. Just nine minutes later, Sporting would create a play from a counter-attack and in just a few touches, would lead the ball past the defense and past Guillermo Ochoa into the back of the net. Babin would score for Sporting in the 64th minute then Carmona would score for Sporting in the 67th minute. Granada’s defense fell apart and Ochoa could not do much. He might have come out too early in the last goal, but his heroic duties (including a penalty save he did in the later parts of the match) for his club come around far too often. His call-up for the qualifiers came with no surprise and it would serve Osorio well to give him a chance to defend the goal. 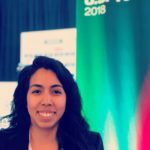 Mexicans Abroad: What Went On With Legionarios This Week?